A while ago I never understood why anyone would pay around the £20/30 mark for a foundation. I just didn’t understand why you’d spend so much money on a foundation when you can buy a ‘drugstore’ version for around the £10 mark. I thought surely they can’t provide that much more coverage, or make my skin look that much better. I got on so well with my drugstore foundations, they gave me okay coverage, and matched my skin tone fairly well, and most important of all, didn’t break the bank. Then one day after reading countless positive reviews of MAC, I decided to give in a buy Studio Fix Fluid, and boy am I glad I did. MAC counters scare me, in fact most beauty counters do. I’m a bit awkward when approaching these types of counters as I don’t really like talking to sales assistants, I don’t know why, but sometimes I find it can be a bit overwhelming and I’m always scared their going to try and sell me everything. But after deciding that I needed Studio Fix Fluid in my life, I realised I had to go to a MAC counter because I had absolutely no idea what shade I needed and I wasn’t going to spend £20 on a foundation that didn’t match my skin tone. So I braved it and spoke to a MAC make up artist who colour matched me, and I actually had a lovely experience. The girl talked through the foundation with me, how to apply it, explained my shade, and even did my make up for me without trying to sell me anything else! I’ve never had a good relationship with my skin, I hate how it looks, so I’ve always tried to pick out a high coverage foundation. I always thought I got a good coverage with my drugstore versions until I’d tried this one. Once the MUA applied this to my face, my skin was absolutely flawless, I’ve never seen my skin look so good. Even my boyfriend, who knows nothing about make up, commented on how amazing my skin looked. And my favourite thing about this foundation is that it lasts. 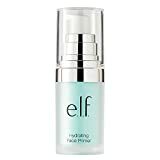 This has been my go to foundation while I’ve been working 8/9/10 hour shifts and still at the end of the day my foundation is still in place. It also doesn’t feel too heavy on my skin, I still feel like my skin can breathe and isn’t clogged up with a foundation. Also the colour matching thing is genius. I tried for a while to guess which colour I was, and it turns out I was miles off. I was colour matched as NC15, which is like the palest shade (boo for being pale), but it matches my skin perfectly. I can’t even tell I’ve applied foundation, it’s just like the perfect match! My only problem with this foundation is that it doesn’t come with a pump. Why don’t all foundations come with a pump! Do they just expect us to pour it out!? Crazy. Luckily the lovely MAC lady explained this to me as she’d had this problem when she first bought one and no one explained this to her, so I bought a pump for £3.50. problem solved. For the last two months this has been my ‘go to foundation’, and honestly I don’t think I’ll ever touch a different foundation again. I’ve now learnt that high end beauty products are worth the hype.